Nowadays when typing “buy a cooler” in the Google you will get a lot of available options and all of them are different in their characteristics and especially price. In this article we are going to tell you about the representative of high-end rotationally molded coolers that can boast of the cheapest price in comparison with similar options. 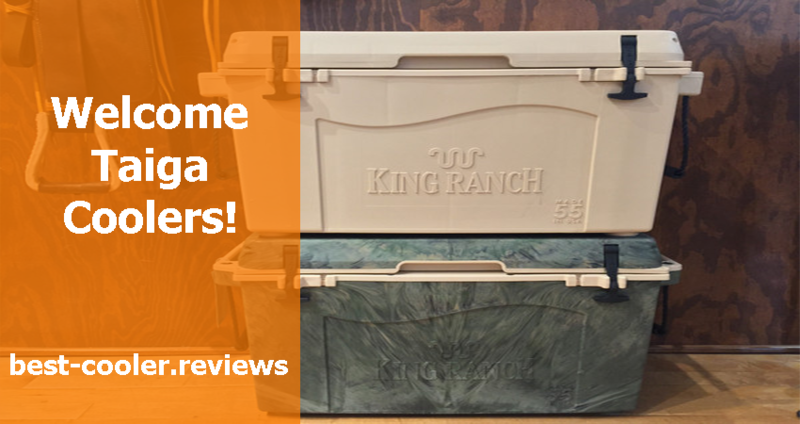 Meet Taiga coolers and let’s look deeper on their characteristics! The test of Taiga coolers is presented below If you need to see them with your own eyes. 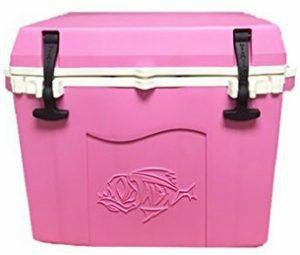 Beside the most affordable price range in comparison with other high-end options Taiga coolers can boast of several other unique features that significantly stands them from the crowd. The first thing is that these coolers are one hundred percents made in USA, and this is really something to be proud of, today not many coolers can boast of such feature. In addition to this the duration of warranty for Taiga Coolers significantly exceeds the warranty duration of other high end coolers that can be purchased today. One more great feature of these really cold guys is that their declared size completely corresponds to the real, so if you read in description that current option has twenty-five quart capacity, you can be sure that it really has it. Taiga coolers are available in a variety of colors unlike other options that offer only boring black, white or grey colors. And note, that these coolers are not simply wrapped or dipped, each cooler goes through the long process to become exactly the same as you chose it. 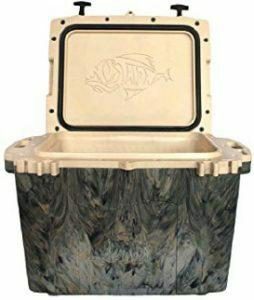 One more unique feature for the taiga coolers is that they are made by the true veteran owned brand that is able to mold their own corporate logos into the each option. Quality of these coolers is proven over the many years of successful using all over the world. What about duration of ice retention? In this paragraph we will consider the most popular options made by Taiga company. 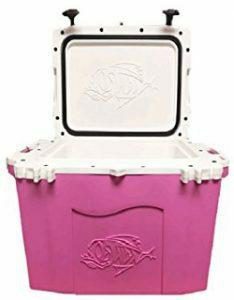 Don’t forget that Taiga Coolers are the custom coolers, so you are able to choose the desired design and color of each cooler. If you are looking for the most suitable option to take it to the beach or picnic with your friends, here it is. 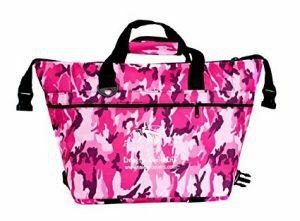 This soft-sided cooler from the Taiga manufacturer is available in pink camo, regular camo or navy blue colors. With the weight only two ponds you can easily take it wherever you want and don’t afraid of its sweating thanks to the PVC backing, special Tuff-Duck material and the foam with high-density between them. The dimensions of this cooler is 15” x 8” x 10”. You will also find an opener for bottles on the front side of the cooler. The great combination of cool design, light weight, low price and good quality makes this cooler one of the best soft-sided options available now. This one guy is the largest cooler among all options manufactured by Taiga. You can put in it up to ninety seven cans together with ice. As the previously mention option this cooler is also equipped with the dual plug for fast and simple draining of melted ice. This option also has a recessed lid. 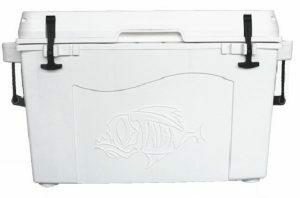 As for all Taiga coolers you can choose this model in different colors. 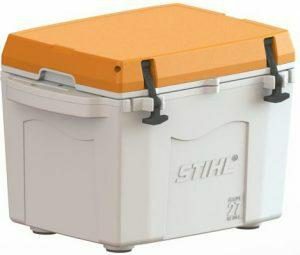 The next cooler is among larger options made by Taiga and has a capacity of fifty five ounces. The internal dimension of this option are 24 1/2” x 12” x 12 3/4” (fully corresponding to the real fifty-five quarts). This option is equipped with the special dual plugs for melted ice draining, that allows make it much faster. Also there are three slots inside this model to divide the cooler’s content. This bright option that will conquer your heart with the positive design and bright colors available (white or pink can be chosen). 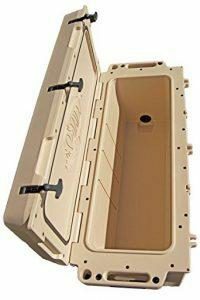 The capacity of this option is twenty seven quart (don’t forget about true size of all Taiga Coolers) while the internal measures are 15” x 12 1/2” x 10”. The one of main things that we love in this option is that it is completely safe for contacting with the food. This feature is due to the safe for health and all food and drinks FDA Compliant Poly Propylene material from which this cooler is made. The lid gasket of the current option is leak-proof thanks to the high insulation level and seamless technology implemented. Such lid together with durable latches will not let the air come inside the cooler, providing the good insulation and long duration of ice retention period.